China Glaze Nail Polish, Pay It Fashion Forward, 1624, .50 fl oz. 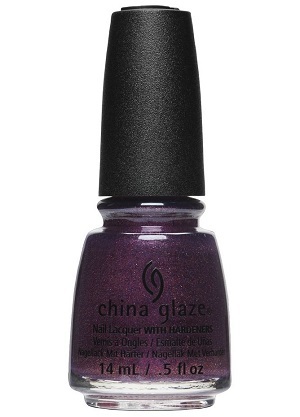 Red-toned purple nail color with blue, red and gold flaky shimmer. China Glaze Ready To Wear Collection, Fall 2018.